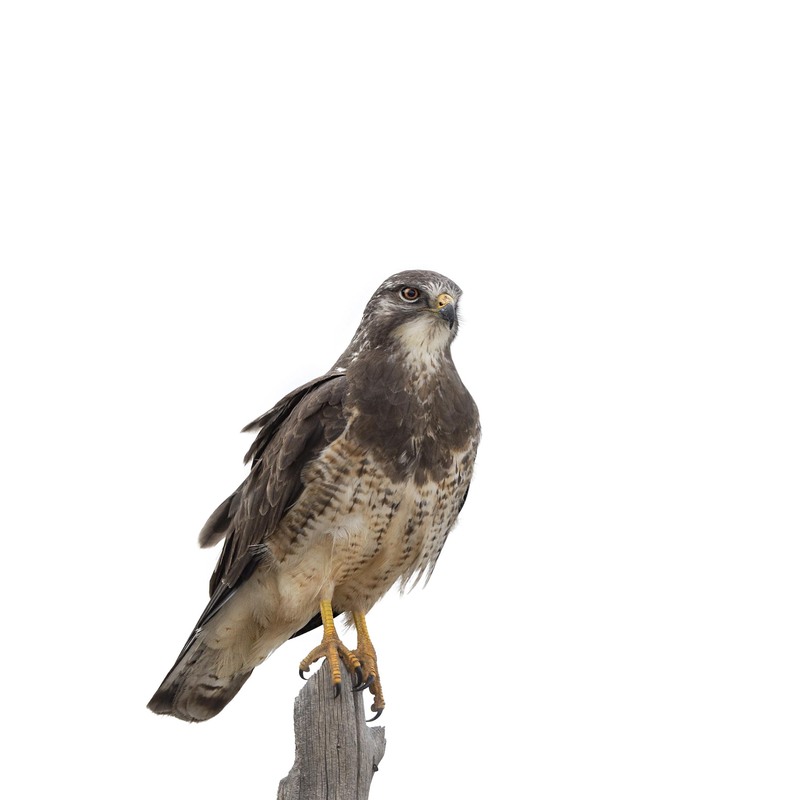 Sitting on an old fence post on a cloudy day bringing some color to the monotone sky.Red Tailed Hawk photographed in Northern Colorado. Wonderful photo portrait, Mike — love seeing his claws, something we rarely see. Hi Jet, yes it is nice to see a raptors claws and I sure would not want to mess with them. Nice capture – their gaze is so intense! A gaze like that says a bird’s got to eat. Happy hunting Henry Hawk. My favorite of all hawks!